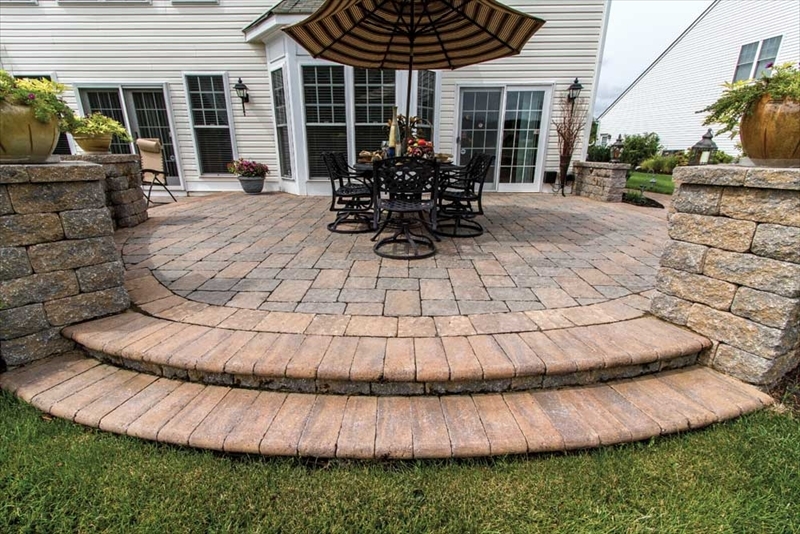 Crescent DC offers contractors to install pavers patios in Northern Virginia, Maryland, Washington DC, and several of the surrounding areas. When planning a patio, consider using premium pavers as your flooring material. Pavers are one of the top chosen materials used on patios and driveways. They are usually in high demand because the look good, pavers patios can be made to mimic almost any other material and they are extremely durable. Pavers come in many different colors, shapes and sizes and can be laid in many different patterns. There are some maintenance requirements for paver patios so talk to one of our professionals to determine if pavers patios are for you! Pavers must be refinished and sealed ever 2 years to Falls, Oak Hill, Ashburn, Falls Church, Alexandria, and Burke Virginia. We are conveniently located so that we are also able to serve Maryland and Washington D.C. as well. We also install roads, driveways, pools, pool decks, pool lighting, pool accessories, above ground pools, walkways, resurfacing, patio heaters, patio covers, outdoor living, backyard designs, and more.